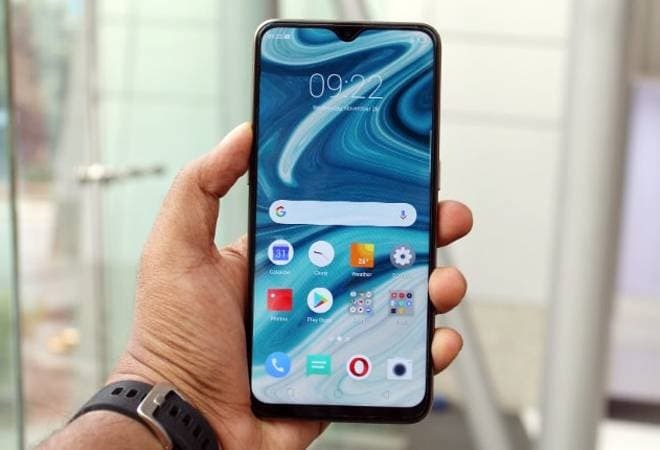 Realme U1, Oppo's sub-brand, has received up to Rs 1,500 instant discount on Amazon India. The discounts are available from December 21, 2018 to January 2, 2019. Realme U1 was launched in India in November end, and has since been sold via flash sales. Earlier in the week, the phone was made available at the Amazon India without any flash sale. In an announcement on Twitter, Realme said that the Realme U1 will be available with up to Rs 1,500 instant discount on HDFC Bank debit and credit card EMI transactions. Unlike the discounts on the Realme U1 3GB RAM and 32GB storage model, the discounts on the Realme U1 4GB RAM and 64GB storage model will go live at 12pm on December 26. Realme U1 comes with a waterdrop-shaped notch, dual rear camera setup, and is the first smartphone in the world to sport the Helio P70 SoC. The Realme 3GB RAM/ 32GB inbuilt storage variant is available at Rs 11,999. Meanwhile, the 4GB RAM/ 64GB storage model has been priced at Rs 14,499 and it will continue to be sold via flash sales. The next sale is slated for December 19 at 12 PM. As far as specifications are concerned, the dual-SIM (Nano) Realme U1 runs ColorOS 5.2 based on Android 8.1 Oreo. The phone has a 6.3-inch full-HD+ (1080x2340 pixels) LCD display with a 19.5:9 aspect ratio. It has a 90.8 per cent screen-to-body ratio with a 2.5D curved glass and Gorilla Glass 3. Realme U1 boasts of a pixel density of 409ppi, and a peak brightness of 450 nits. The smartphone is driven by the octa-core MediaTek Helio P70 SoC clocked up to 2.1GHz, coupled with ARM G72 GPU. The Realme U1 is equipped with 32GB and 64GB inbuilt storage options. Both are expandable via microSD card (up to 256GB). Talking about the optics, Realme U1 packs a 13-megapixel primary sensor with an f/2.2 aperture and a 2-megapixel secondary sensor with an f/2.4 aperture at the back, coupled with an LED flash. On front, the Realme U1 has a 25-megapixel sensor with an f/2.0 aperture. Looking at the connectivity options, Realme U1 includes Wi-Fi 802.11 a/b/g/n/ac, Bluetooth 4.2, GPS/ A-GPS/ GLONASS, Micro-USB port, OTG support, and 3.5mm audio jack.